In the lead up to our first event of 2019, January Story-share: Advice to my teenage self, we’re catching up with our speakers to find out more about them and get a sneak peak at what they’ll be sharing on the night. Today, meet Erin-Claire Barrow – artist, writer of feminist fairytales and passionate supporter of social justice. Hi, I’m Erin-Claire! I’m a Canberra-based author and illustrator, originally from the beautiful Adelaide Hills. I paint whimsical watercolour illustrations and my current focus is on scenes and characters from fairy tales and folklore. I like to explore the possibilities behind the stories, imagining a more diverse cast of characters, with greater agency than we’ve come to expect in fairy tales. My book ‘The Adventurous Princess and other feminist fairy tales’, published last year, includes nine traditional fairy tales that I have retold and illustrated with a feminist twist. I also have a day job – but hopefully one day writing books about fiercely feminist princesses will pay the bills (we can all dream!). 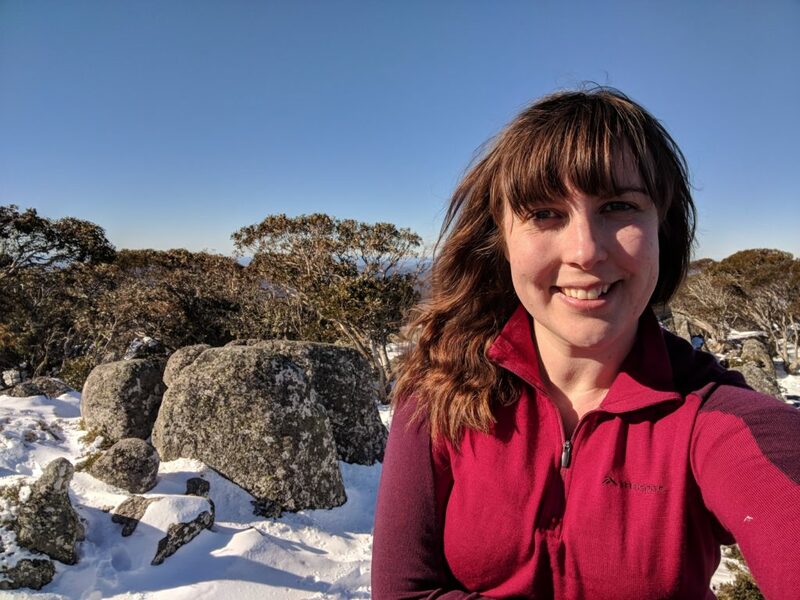 In my spare time I love hiking around Canberra – the only way I’m ever leaving this city is for a place with bigger mountains and more hiking trails! What is one thing you absolutely wish you had known when you were a teenager? From a feminist perspective, I wish I’d known that keeping other people – and especially men – comfortable and happy was not more important than my feelings and safety. In a more general sense, I wish I’d known that it’s ok to fail, to not get everything perfect the first time, and to try things that probably won’t work just in case they do! How can feminism help teenagers today (and did it help you when you were a teen)? I think feminism can help teenagers in two main ways. First, through giving them strength to speak out against things that are discriminatory or wrong. Second, through challenging and changing entrenched and systemic oppression and gendered expectations placed on and held by young people. I want girls to feel empowered to speak out and fight back when they’re treated unfairly, but I also hope that they’ll need to less and less as equality becomes the norm. I’d like to acknowledge here that we have a lot further to go to ensure equality for some young people than others – especially young people from LGBTQI communities and culturally and linguistically diverse communities. Although I was pretty feisty as a teenager when I felt something was unfair, it probably took me until my early twenties to realise that feminism explained a lot of the things I’d experienced and supported conclusions I was beginning to reach, as well as opening many avenues I’d never considered. It helped me name what I and other girls and women I knew were experiencing – sexism – and see that we weren’t alone in experiencing it. It explained that, contrary to what I was told, I didn’t have to just accept harassment as an unavoidable consequence of my gender. It gave me a new lens through which to critique the stories I read and the movies I watched. What is something you’re looking forward to in 2019? I’ve been trying to hold myself back from starting a new writing or art project until I’ve had some breathing space, but if I’m honest I know I’m absolutely going to throw myself headfirst into another project (I already have a new fairy tale one lined up!) very soon – and I’m actually looking forward to it! Is there an empowering book or article you think everyone should read? It’s hard to name just one, but to narrow it down, I really love Chimamanda Ngozi Adichie’s We Should All Be Feminists. I read it when I already considered myself a staunch feminist and it was enlightening, empowering, and really encapsulated so many things I wish everyone knew. You can hear more from Erin-Claire at the January Story-share: Advice to my teenage self, on Tuesday 14 January at Smith’s Alternative in Canberra.